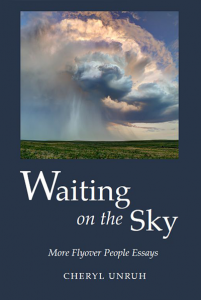 I’m happy to announce that my second book of essays about Kansas, Waiting on the Sky, has been selected as a 2015 Kansas Notable Book! Here’s the list of Kansas books/books by Kansas authors selected as Notable Books this year. To order a copy of Waiting on the Sky, click here.